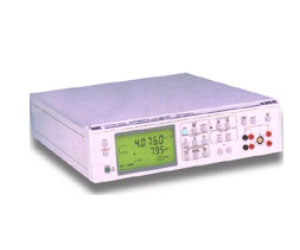 The Wayne Kerr 4200 series of automatic LCR meters comprises two versatile models - the 4270 and 4265 - which offer a combination of powerful capabilities to meet the most demanding requirements, quickly and effectively. The 4200 series combines superior performance, measurement functions and a low price providing unbeatable value for money. Operation is simple and straightforward with measurements undertaken at a wide range of test frequencies and voltage levels.